More than two dozen teens were arrested Saturday night after dozens of groups began randomly attacking pedestrians on Chicago's Magnificent Mile. Police responded to reports of disturbances around 6:30 p.m. Saturday near Michigan and Chicago avenues. They said a number of teens took to the streets and started fighting. Police said 28 teens were arrested during the incident and charged with misdemeanor reckless conduct and battery and later released, according to Police News Affairs. Eleven other teens were charged with misdemeanor charges after they allegedly attacked a group of women on the Chicago Transit Authority's Red Line, police said. "You have over three to four hundred teenagers with mob action, jumping on individuals that are downtown," community activist Andrew Holmes said. "Multiple people have been arrested and I caution those parents that get this call about your child being arrested -- maybe you need to check your child." "I just saw a cluster run down to the Red Line," CTA passenger Amanda Dobson said. "I didn't know what was going on. I just kind of stepped back and let the police do what they needed to do." 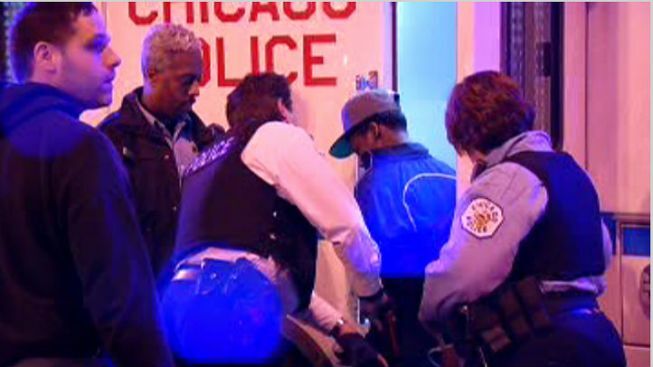 Police said 28 people were arrested after disturbances on Chicago's Magnificent Mile on Saturday. "It's been happening a lot around here," said Eric Baldinger, who works along the Mag Mile. "Just keep your wallet close and your purse closer." Top Cop on Mob Violence: "We've Seen it Before"
"I think it’s very childish," resident Angelica Wilson said. "That’s what wrong with the generation today because there’s always petty fights going on down here and everybody getting hurt. We don’t need more problems."